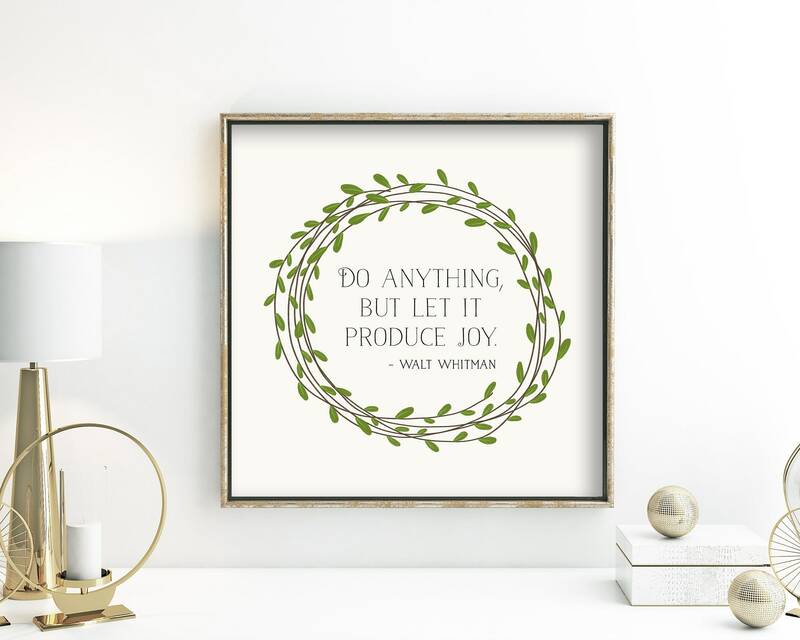 Whatever you do in life, make sure you make time for joy, whether it's gardening, drinking some coffee, or just sitting in a quiet spot. 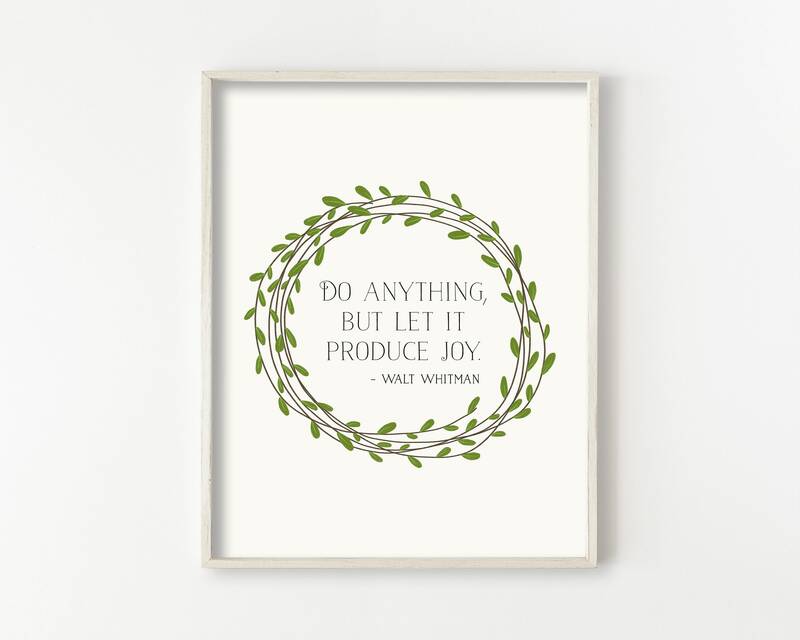 It's the little things in life that can be the most joyful! 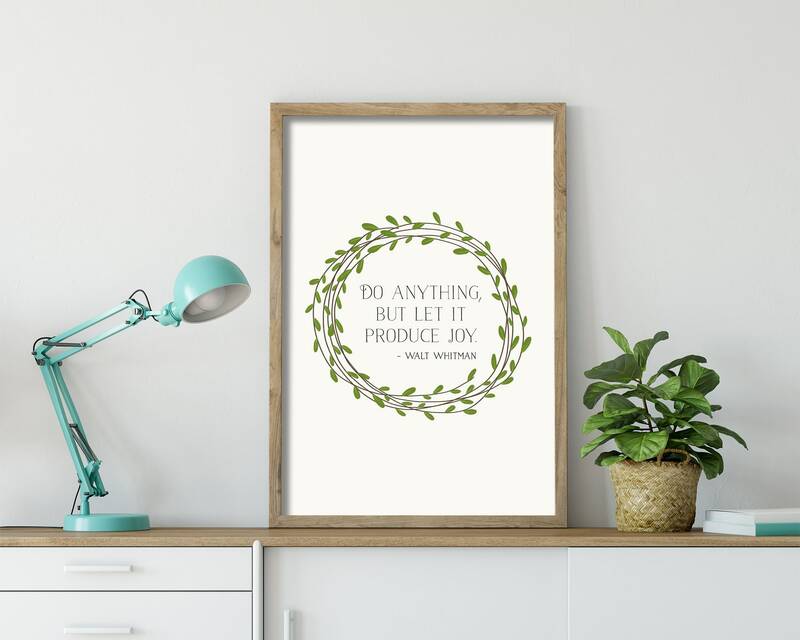 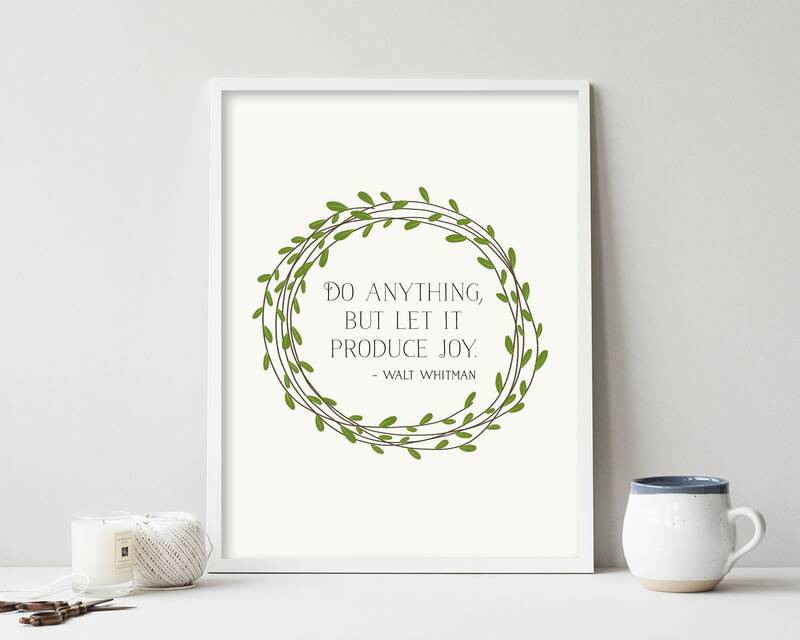 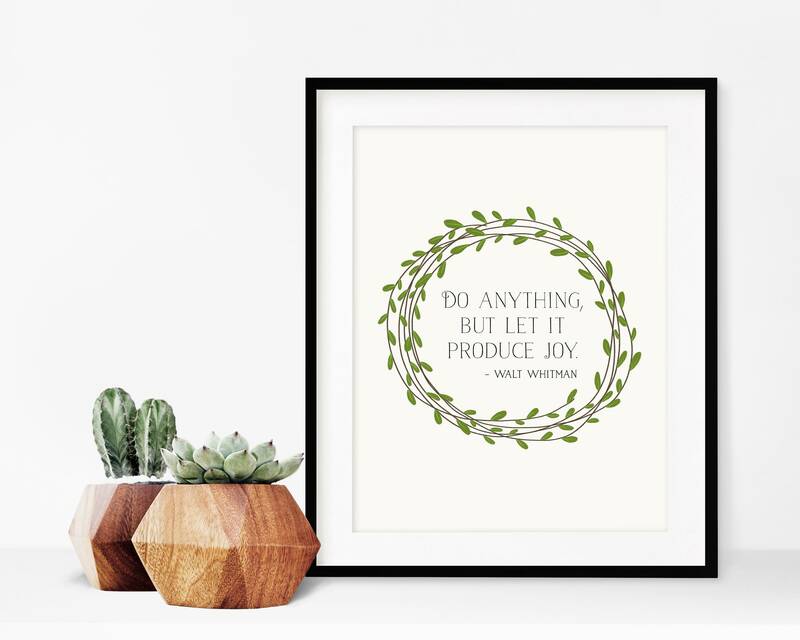 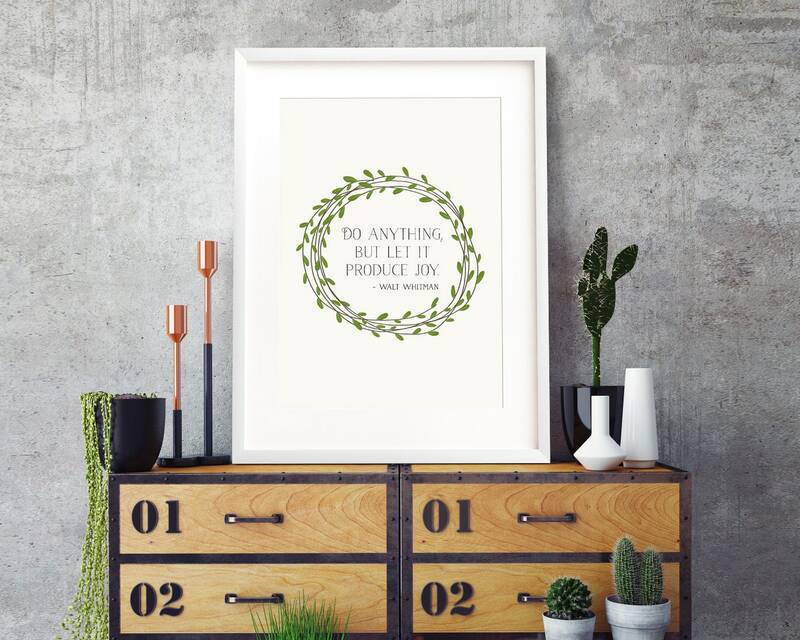 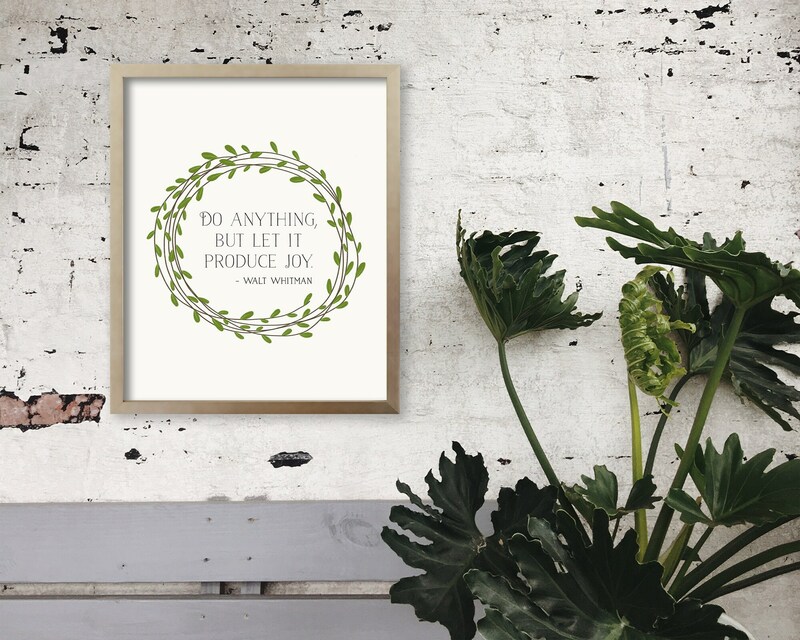 This illustration of a simple wreath of greenery promotes joy, with the words of Walt Whitman, "Do anything, but let it produce joy."